Because people can be amused by the "human" traits in animals, they have been a source of humour for cartoonists. This book teaches an easy method for capturing the forms and expressions of animals. It begins by showing how to create simple drawings and then goes on to depict animal personalities. Because people can be amused by the "human" traits in animals, they have been a source of humour for cartoonists. This book teaches an easy method for capturing the forms and expressions of animals. It begins by showing how to create simple drawings with just a few strokes of the pen. Following the basic shapes, the book then goes on to depict animal personalities that are based on their physical traits. Many different species are covered, from the exotic to the domestic. 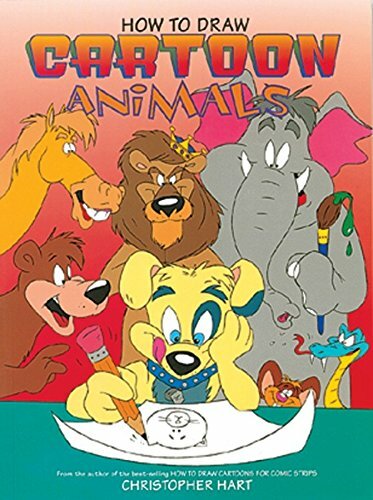 A final selection shows how animals can be turned into "human" characters that stand upright and wear clothes. Christopher Hart is the author of "How to Draw Cartoons for Comic Strips", "Making Funny Faces" and "Everything You Ever Wanted To Know About Cartooning but Were Afraid to Draw".